Science tells us that the sun, surf, and sand does the mind and body good. Who couldn’t use some vitamin "sea", right? Especially when it’s getting cold outside! 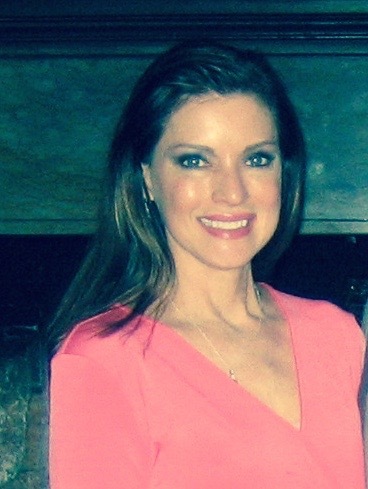 According to Richard Shuster, PsyD, Clinical Psychologist, and Host of The Daily Helping Podcast, “The color blue has been found by an overwhelming amount of people to be associated with feelings of calm and peace. Staring at the ocean changes our brain waves’ frequency, and puts us into a mild, meditative state.” This calming, meditative effect on our minds has similar results to mindfulness, which has been linked to lower stress levels, improved mental clarity, relief from mild anxiety, and improved mood. Speaking of lowering stress and anxiety levels, there’s nothing quite like a beach vacation to get your spirits up. Just the anticipation of it alone is enough to put a smile on your face while you stare at all the endless “tasks at hand” at your work place and in your home. Walking along the beach and hearing the ocean waves, with the wind in your hair, or no hair, is enough to decompress. As I write this article, even I feel my mind relaxing! Who doesn’t love a good water adventure? Our planet and its oceans offer a vast playground of incredible water adventures. The entire underwater world is bursting with amazement and beauty, and all the sea creatures are indeed something to marvel at as they go about their daily business of living in the ocean. 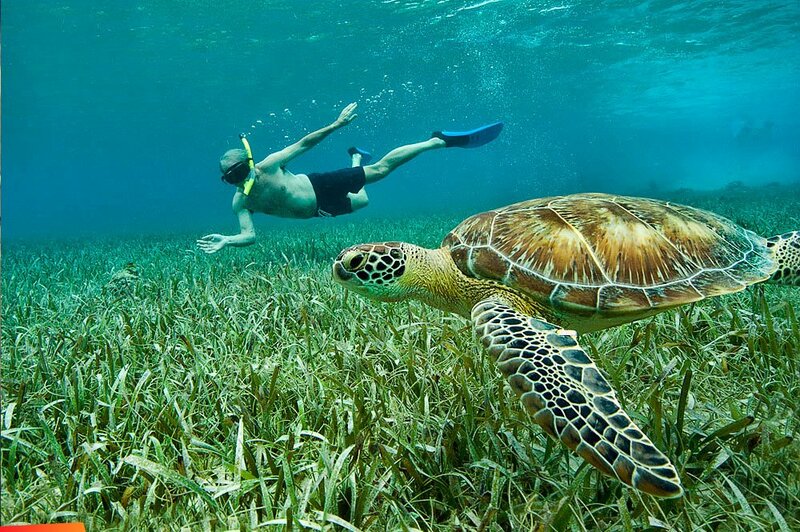 Belize is well-known for its incredible diving and snorkeling. 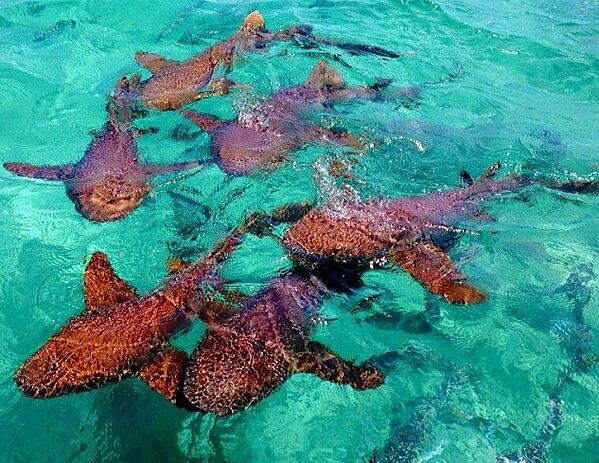 Nurse sharks at Shark Ray Alley - yes, you can dive right in! You’re sure to make a ton of new and fun memories, along with some new friends on those snorkel and scuba trips, cave tubing adventure, chocolate waterfall tour, trip to the Jaguar Sanctuary, and eating and drinking at the many varieties of beach restaurants and dive bars. Be sure to check out our brochure “The 15 Must-Dos on Ambergris Caye” for some great hot spots and memories that await you. Nothing makes you feel more like “bumming around” than putting on breezy beach attire. The beach attire alone, well plus a piña colada or cerveza in hand, helps get you in the mood to enjoy the island. Look around, you won’t see any suits, other than bathing suits, no coats, other than your sugar-coated glass holding that yummy tropical drink, and no high heels. Yes, no heels, yay! It’s just shorts, tank tops, and flip-flops, and of course the ever-popular and very cool straw hat. At the end of the day, really all you need to fit in with the island life is the universal smile. So, relax! Life is simple and meant to be good. What are you waiting for? Embark on that beach vacation now! 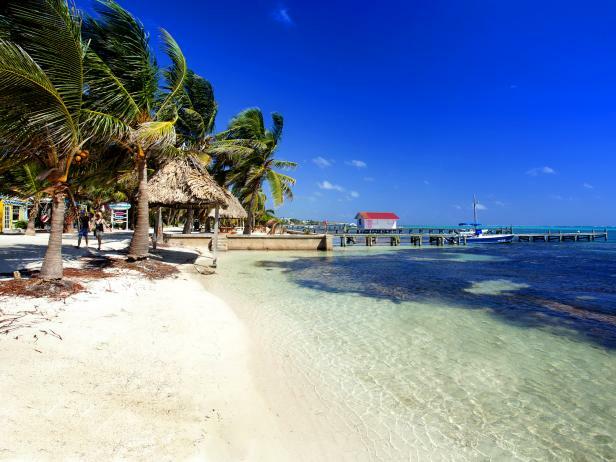 Enjoy a stroll on the Ambergris Caye beach. If you’d like to take a break from the cold winter months ahead, book your stay at Grand Baymen Gardens or Exotic Caye Beach Resort. Click here for reservations.